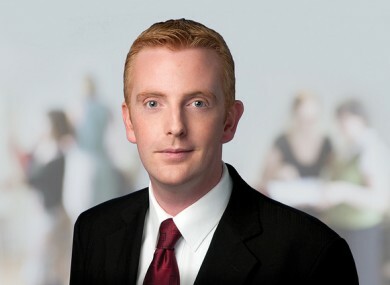 Derek Nolan – A Labour candidate and trainee solicitor, Nolan took a seat in Galway West. Michael D Higgins – He was in the Galway West count centre, celebrating with the aforementioned Nolan who was running in Higgins’ old constituency. Could it be a good omen for Higgins, who could be running for the Aras in this coming October’s presidential election. Pat Deering - The Fine Gael man was elected on the 13th count in Carlow-Kilkenny. Phil Hogan - The director of elections for Fine Gael was also elected in that final count in Carlow-Kilkenny. John Paul Phelan – Fine Gael scored a hat-trick with Phelan also taking a seat in the Carlow-Kilkenny constituency. John Leahy - The independent candidate conceded defeat in Laois-Offaly, where it was ruled there would be no recount. He was excluded on the ninth count. Bobby Aylward – The Fianna Fail candidate in Carlow-Kilkenny failed to join his running mate John McGuinness and was eliminated in the final count. Galway voters - They will have to wait until 5.30pm for the results of the recount that has been taking place in Galway East – and a recount has been granted to Fine Gael’s Fidelma Healy Eames in Galway West. That recount is adjourned until 6.30pm. Niall Byrne – The Green Party’s only runner in Wicklow has been eliminated on the eleventh count. Peter Dempsey - Independent candidate Dempsey, a former mayor of Arklow, was also eliminated on the eleventh count in Wicklow. Female TDs – With Mary Hanafin eliminated in Dun Laoghaire, Fianna Fail will have no women TDs going forward to the 31st Dail. In the past hour, both Fine Gael’s Lucinda Creighton and Labour’s Joan Burton said politics was a difficult road for women. Creighton, however, resisted the notion that there should be a mandatory “quota” of female TDs. Email “The Half Past Fix: 4.30pm”. Feedback on “The Half Past Fix: 4.30pm”.